Just up the street from 394 Danforth we find another Stick Style home that displays a more refined vision. Where as 394 is positively dripping with details, 380 shows restraint and more developed details. 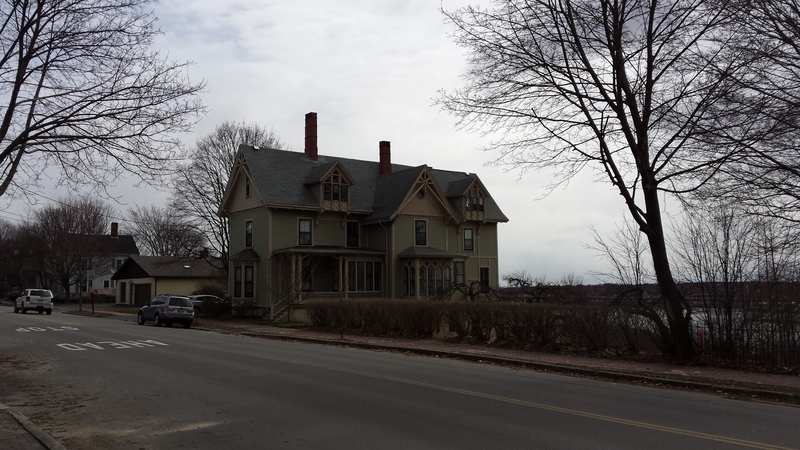 The home was built in 1875 for Samuel Rumery who, along with James P Baxter & William Davis, was a founder of the Portland Packing Company . 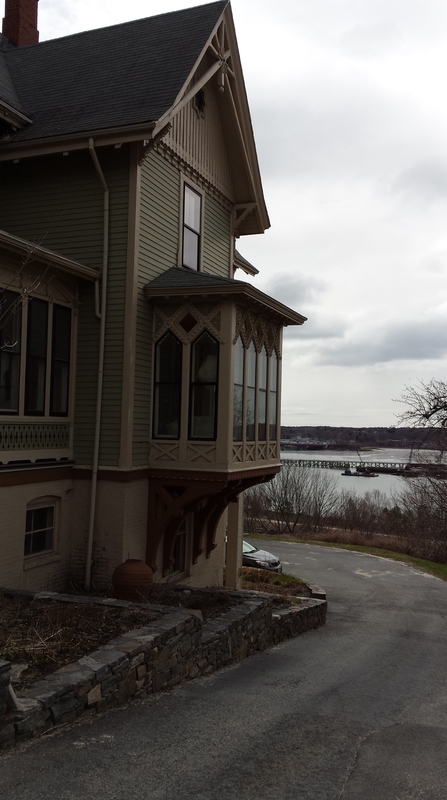 Possessing a fairly large lot and a commanding view of the upper harbor, it would have been a fitting home for a successful business man such as Rumery. The detailing in the gables is very rich with the star at the intersections a nice touch. The switch from horizontal to vertical siding helps to emphasize the height while also breaking the wall planes into separate zones. 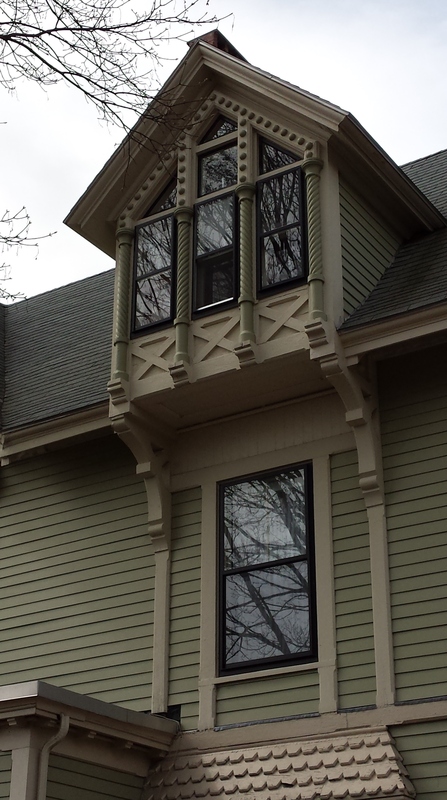 The details in dormers on the other hand are very heavy and layered. Combined with the chunky brackets, they really call out for attention. 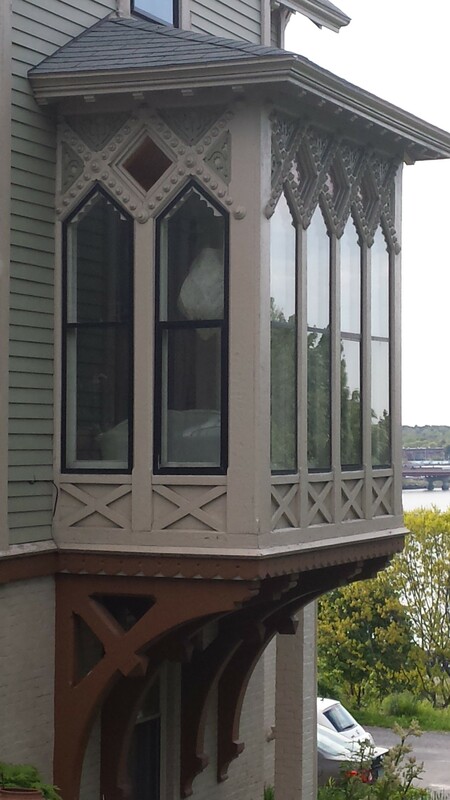 There are several details I find quite attractive on this house. The use applied moldings to carry the brackets and window trim down the height of the wall, as seen in the image above, is a nice touch and very much in keeping with the style. The treatment of bump out on the west end is particularly attractive. The detailing, especially the medallions, really adds a richness and depth to the look and feel. Lastly, and perhaps my favorite, is the handling of the transition from horizontal to vertical wall space. 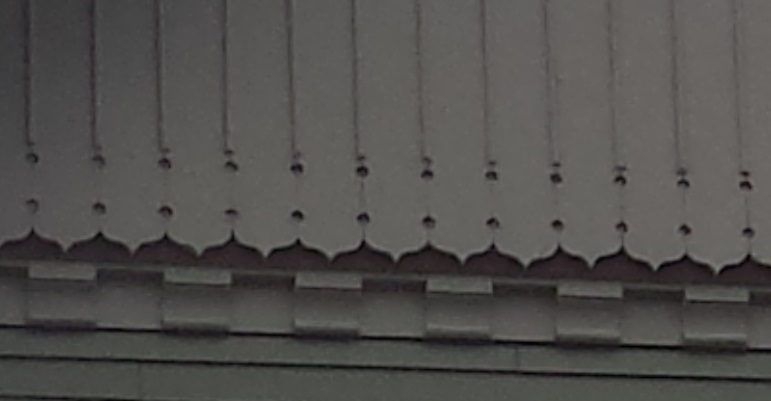 The horizontal plane is capped with a row of elongated dentils that lead to alternating positive and negative compressed ogee forms. The negative points lead to small piercings that transition into a very slim batten covering the joints of the siding. A mention should also be made of the replacement windows. Although the use of large single panes are historically suspect, the 1926 photo shows 2 over 2, the use of a dark color and minimal frame widths helps to mitigate any glaring changes. All to often, replacement windows can be a disaster on old houses. 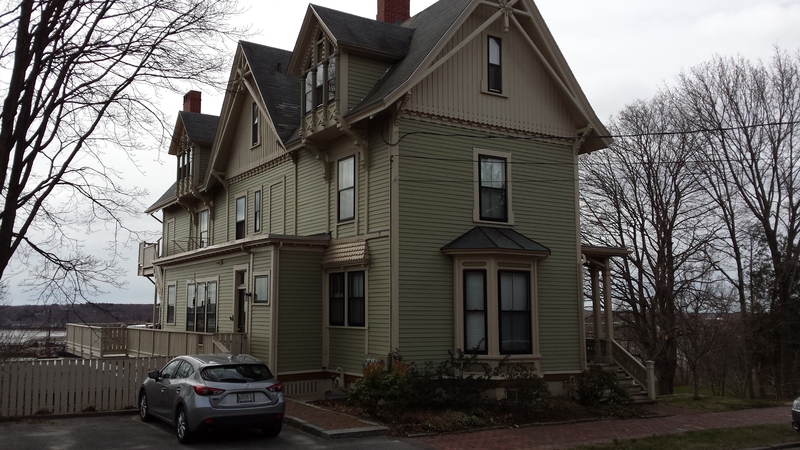 5.25.15 PS: Further research shows that John Calvin Stevens designed alterations to the home in 1880. Thanks for including this house in your blog. I have been identifying photos I took in Portland back in 2011, and your article helped me. One suggestion, though, your shots are quite dark. A little adjustment would help in viewing the details. Hey just wanted to say hi. The words in your article seem to be running off the screen in Internet explorer. I’m not sure if this is a formatting issue or something to do with web browser compatibility but I figured I’d post to let you know. The style and design look great though! Hope you get the issue resolved soon. Many thanks.